The Yeti is here to help you! Need a little help with your catalog or content? Don't worry! 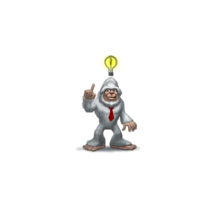 We have created user guides to help you navigate the world of BizYeti! Access the user guides to learn more about setting up your catalog, posting content and events, and adding payment. 0	jplist-folder-All-Posts-211 jplist-folder-All-Posts-211 User-Guide-User-Guide	jplist-topic-post-an-event jplist-topic-create-virtual-event jplist-topic-create-live-event	0	01/29/2014 19:29:39	Post an Event BizYeti lets you add virtual or live events. Create the event by adding a type, title, description, uploading an image and adding location and contact information. Charge for the event, take registration, and manage your event online. Use our event management tool to promote, register and remind. It’s integrated with BizYeti ! 1	jplist-folder-All-Posts-211 jplist-folder-All-Posts-211 User-Guide-User-Guide	jplist-topic-manage-your-catalog jplist-topic-edit-your-catalog jplist-topic-bizyeti-catalogs	0	01/29/2014 12:17:10	Brand and Customize Your Catalog Catalogs on BizYeti are free! Login from the BizYeti home page, enter your catalog and create and content, training and events for free or for purchase. Set up and brand your catalog with information about you and your business so viewers will see your expertise, what type of posts your catalog will have, and how to contact you. 2	jplist-folder-All-Posts-211 jplist-folder-All-Posts-211 User-Guide-User-Guide	jplist-topic-add-payment jplist-topic-content-for-purchase jplist-topic-events-for-purchase	0	01/29/2014 12:12:45	Create Revenue on BizYeti! BizYeti allows you to charge for your content, training and events. Every time you create a new post, you can access the payment wizard that walks you through the process to set up payment, add discounts and create refund policies. Add different types of buyers and a price for each buyer type as well as offer multiple types of discounts. 3	jplist-folder-All-Posts-211 jplist-folder-All-Posts-211 User-Guide-User-Guide	jplist-topic-post-content	0	01/29/2014 12:07:21	It's easy to add content to BizYeti! BizYeti lets you add many types of content such as articles, videos and books. You can charge for your content or offer it for free. Pick a content type, add a title and description, upload a file, add keywords, and customize payment if the content is for purchase.This user guide helps you through the process of adding content. There are easy instructions on BizYeti that walk you through each step.